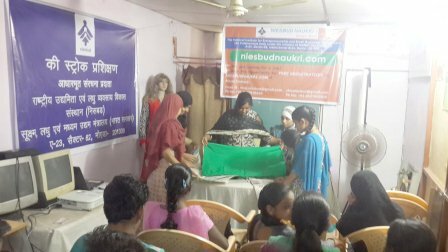 Growth NGO” conducted 2 months ENTREPRENEUR DEVELOPMENT PROGRAM of NIESBUD[Govt. of India] at Bapunagar-Ahmedabad. In this program we have trained 55 Boys & Girls candidates on“Entrepreneur Development Program on Fashion Designing ” belonging to the Schedule Caste category . 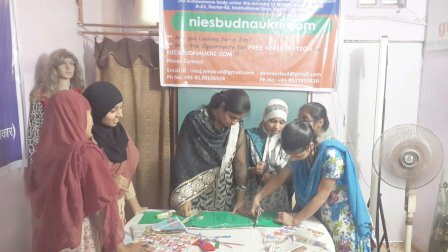 Objective of this Project is to provide Entrepreneurship Course to underprivileged youth and women from economically weaker sections and enable them to gain access to opportunities for sustainable livelihoods and growth. The NGO Growth process focused on youths to set and achieve goals, become self- motivated and develop positive mental attitude by overall development, training them to prepare them for the competitive world and helping them to live their life with independence and dignity. After the successfully completion of the program “Growth NGO” has placed those students in corporate sectors in Malls, Call Centers, Schools, Hospitals, IT Sectors, Sales and Business Houses also some of the students has started their own business and started earning and become Self Employed.